The Fair Work Commission (FWC) has ordered BHP Coal Pty Ltd reinstate and compensate a 38-year veteran of the company, grader driver Mr Gregory Macklin, after finding his conduct-related dismissal was harsh, unjust and unreasonable. Describing Mr Macklin as a “workplace dinosaur” who appeared “institutionalised” and “resistant to change and outside pressures”, Commissioner Hunt nonetheless found his refusal of a supervisor’s request to train a contract worker to not justify his termination. Mr Macklin had been employed by BHP since 1980, with about 17 of those years as a trainer/assessor of operators of grader, wheel dozer and track dozer machines. Prior to the incident which led to his dismissal, Mr Macklin had received multiple disciplinary warnings related to his conduct, starting from 2010. Past indiscretions put to the FWC include joking that a female bus driver needed to “keep her eyes on the road”, and having allegedly made “a very derogatory and rude remark” during a training session in response to a colleague’s statement about women “being 50 per cent of the target in the mining workforce very soon”. Mr Macklin had been repeatedly warned his behaviour contravened the values outlined in the BHP Charter and that he needed to show more respect to others, the FWC was told. The incident that led to Mr Macklin’s dismissal involved his refusal to follow a supervisor’s direction to train a contract truck driver. A short time later, Mr Macklin was again asked to train the contractor and again refused, this time stating: “I don’t train contractors that will take my job”. Mr Macklin was later issued a “show cause” letter within which BHP said it considered the incident to be “serious and constitute misconduct”, and also to be “in breach of company policies and procedures”. 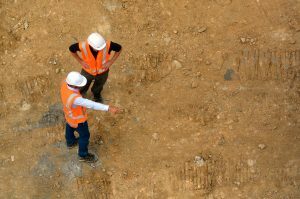 Apologised and said that he now understood “properly” his obligations to provide training to contractors and asked that the employer “consider all alternatives to dismissal”. During a second meeting BHP provided Mr Macklin a notice of termination, saying it found his responses unsatisfactory and setting out his pay entitlements and post-employment obligations. Despite her criticism of Mr Macklin’s workplace behaviour (including an obscure reference to the highly-institutionalised character “Brooks” from the film The Shawshank Redemption), Commissioner Hunt ultimately found in favour of his unfair dismissal application. In a lengthy decision including analysis of Mr Macklin’s employment at BHP, she found he was informed of only “some of the reasons” he was dismissed, but not all, and therefore was not afforded the opportunity to respond to all reasons for his dismissal. Key to the Commissioner’s decision was Mr Macklin’s evidence that the language used by the supervisor requesting him to train the contractor was unclear (accepted transcripts of the conversation and somewhat colloquial language used is included in the decision). It was found that while the supervisor formally directed him on one occasion to undertake the task, a second request was not a ‘direction’ and therefore his second refusal to train the driver was not a second failure to follow a reasonable direction. On the basis that the decision maker had found that there were two refusals to follow a lawful direction, as well as a number of other findings made by the decision maker which were not supported by the evidence, the Commissioner held that there was not a valid reason for the dismissal. She also criticised BHP’s non-compliance of the site’s enterprise agreement in seeking to meet Mr Macklin without his union representative. Commissioner Hunt considered whether reinstatement would be inappropriate, and found it would not, partially due to the supervisor having moved on to another work group, and Mr Macklin’s desire to return to work in a “productive and positive manner”. She ordered his reinstatement with back-pay of more than $45,000, however advised Mr Macklin to address the “pattern of disrespect in the workplace” he had exhibited in the past. Unfair dismissal proceedings can be complex and costly for employers, especially given the growing trend in recent years for members of the Fair Work Commission to seek reasons to reinstate and/or compensate applicants who have clearly been found to have acted inappropriately in the workplace. On the policy front, this has been an area of ongoing advocacy for AMMA. In principle, it is AMMA’s position that where misconduct has been found, an employer’s decision to terminate an employee should be more regularly supported. For instance, this case has attracted wide mainstream media interest due to Commissioner Hunt’s heavy criticism of Mr Macklin’s workplace behaviour and her use of colourful language throughout her decision, yet still finding he should be reinstated and compensated. However there are clear areas of process improvement in this case that may have produced a different outcome. The key issue identified by the Commissioner was in relation to the employer’s findings with respect to Mr Macklin’s conduct, many of which were found to be incorrect on the evidence, and which ultimately formed part of the reasons for Mr Macklin’s dismissal. The Commissioner held that several of these findings were not open to the investigator/decision maker to make on the evidence, and that if further inquiries had been made by the investigator/decision maker, this would have become apparent. The Commissioner found that many of these findings, whilst also being incorrect, were not put to Mr Macklin as reasons for his dismissal and consequently, he had no opportunity to respond to these reasons which meant that the dismissal was procedurally unfair, as well as being substantively unfair (there being no valid reason for the dismissal). AMMA’s specialist workplace consulting team has unmatched experience in all workplace disciplinary and termination matters across the resources and energy industry. For a discussion on how we can assist and represent you during any stage in these management procedures, contact your local AMMA office.